Lick the Plate has expanded into Europe recently with the addition of European correspondent Quinn Boylan who is based in the United Kingdom. Quinn took a trip to Germany last week and had the opportunity to spend a couple days at a traditional Christmas Market in Muenster. Many of these German dishes can be found at Tip Top Meats in Carlsbad. In the spirit of the holiday season, here is a conversation I had with Quinn on these markets. What exactly is a German Christmas Market and how did you find yourself at one? I met a beautiful young woman at university who happened to be from Germany. As a result, this was my third visit to Germany and I love it more and more each time I go there. I stayed in Germany for three days and went to two Christmas markets. One was at “Schloss Hohenlimburg.” a castle in Hagen, and the other was in a Muenster about an hour north. Both of these are located in North-Rhine Westphalia, which is Northwestern Germany. German Christmas markets, or “Wehnachtsmarkt” began in the middle ages, and usually start in the last week of November and run through to Christmas alongside the advent. Do these happen in every German town or just a select few? Every German town usually has a Christmas Market and as a result there are thousands all over Germany. Their influence is really starting to spread and now there are hundreds of German style markets across Europe and the U.K. The city of Muenster is considered the cultural capital of North-Rhine Westphalia; it’s a historic formerly walled city and several cathedrals. The Christmas market is spread across the city and each part almost has a different theme. Let’s start on the savory side of things…tell me about some of those options at the markets. This is difficult as there are so many options. Currywurst, which is sausages in curry sauce, and a bit of bread, is very good. Bratwurst comes in many forms and might be served with fried potatoes, and red cabbage with onions and bacon. I very much enjoyed “Kartoffelpuffer,” which are basically fried potatoes “pancakes” usually served with a sweet apple sauce. And the sweet side of things? Roasted nuts such as roasted almonds in sugar are always a great choice. One of my personal favorites is “schneeball” which are strips of sweet fried dough covered in powdered chocolate or sugar. Backapfel are baked apples with fruit and a cinnamon sauce and are delightful. I’ve got to give a shout out to Nini’s Backapfelm, who roasted backapfel in a big beautiful traditional German oven. She told me “I love America!” and gave me a free one when I said I was from San Diego. She had actually driven there once from Arizona. What about beverages, I know those Germans love their beer. Are they still drinking primarily pilsners and lagers or has the craft beer movement caught on there yet? Beer has always been a major part of German culture and was traditionally strictly brewed with water, hops, and malt as part of the Reinheitsgebot law. Pilsners, wheat beers, and dark beers such as bock are all very common. One of my favorites is Krombacher, which seems to be the beer of the moment. America is still known across the world for having mass-produced beer but that might be changing as we see some of our finest such as Stone move to make a brewery out there. I’ve heard most of what is sold at the markets has to be made locally, is that the case? It doesn’t necessarily have to be “local” but mass-produced goods are not allowed, and everything must be handcrafted. It’s very refreshing to see. There is still a lot of Christmas bric-a-brac but it tends to at the very least be of good, tailored quality. If I were to plan a trip to Germany to attend one of these markets, are there some that are more renowned than others? It’s a hard call and as Germany is so big I couldn’t recommend them all. In North-Rhine Westphalia I’d give Muenster a shout-out, and I hear Cologne is quite good also. Naturally, the bigger cities are known to have large ones and you probably wouldn’t go wrong in places such as Berlin, Munich and Nuremberg, etc. But do keep in mind that historic smaller towns can be particularly charming: between all of the cobbled streets, old-world style terraced homes, and the winter snow you can’t go wrong. On the general topic of German cuisine, what are some of your favorites? One of my top pick is Rouladen, which consists of onions, bacon, mustard and pickles wrapped in a thin slice of beef and cooked. It’s usually served with potato dumplings or boiled potatoes. Not to mention the red cabbage or roasted winter vegetables. The absolute must is to pour gravy over the meat to finish it off. I owe Mrs. Mueller for turning me on to the dish. 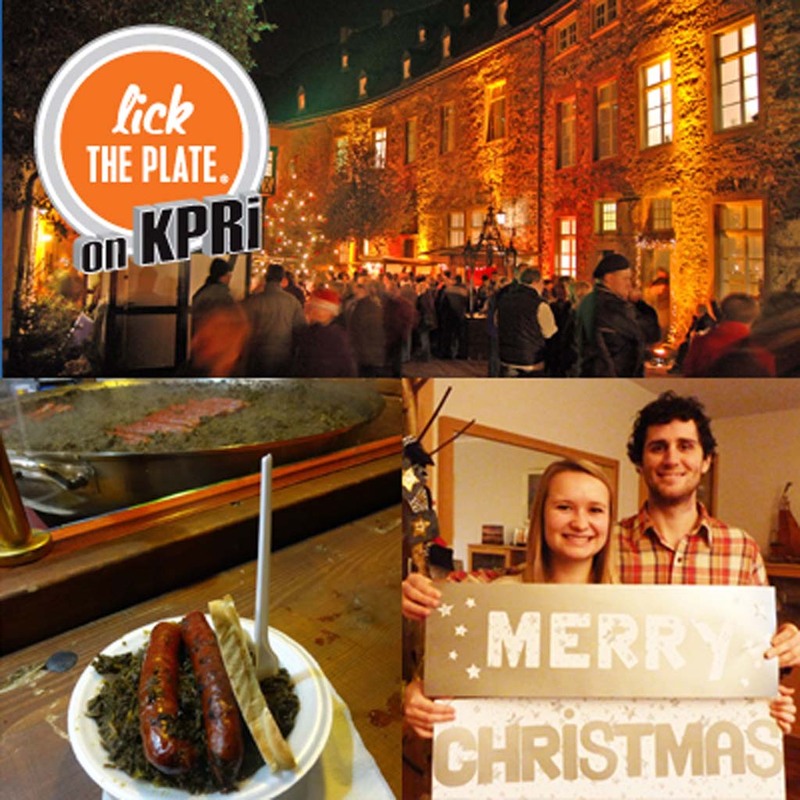 Lick the Plate can now be heard on KPRi, 102.1 FM Monday – Friday during at 4:10 and 7:10 p.m. David Boylan is founder of Artichoke Creative and Artichoke Apparel, an Encinitas based marketing firm and clothing line. 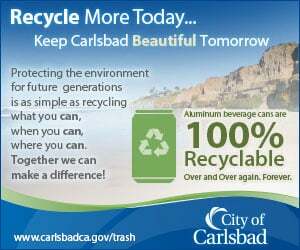 Reach him at david@artichoke-creative.com or ( 858) 395-6905.